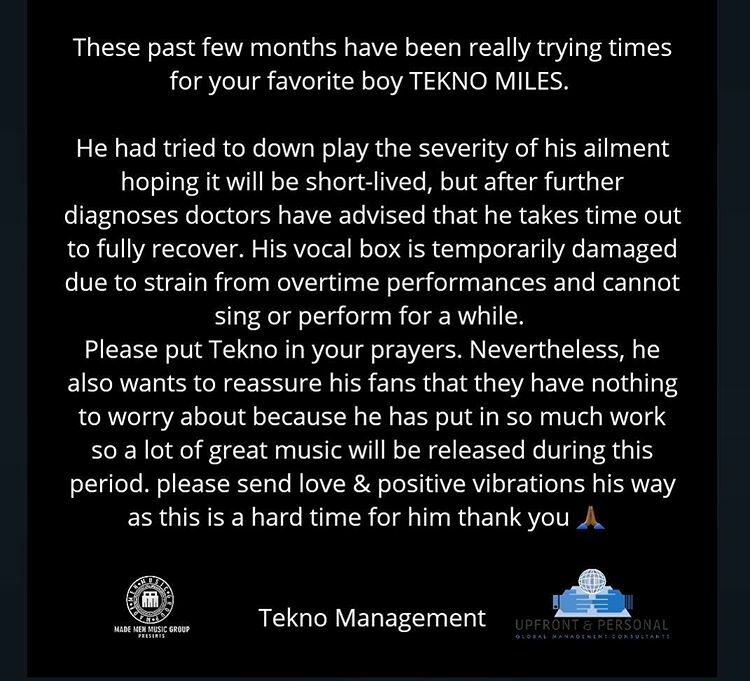 The management of Tekno have published a press release concerning Tekno and his medical status. The management in the press release, made a reference as to why Tekno has been off the music scene for a while now. They said it is due to a certain illness the singer was faced with which they thought was really not an issue to raise alarm about until now. 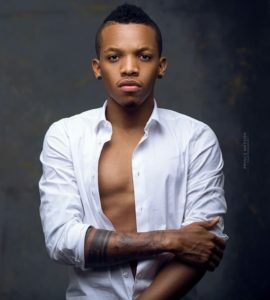 Recent appointments with the doctor have now shown the severity of the illness and as such, Tekno will need further examinations and treatment which will keep him off music for a while. 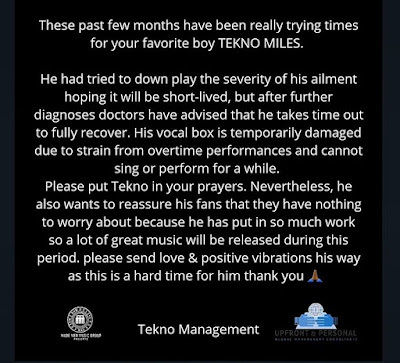 Meanwhile, they have asked music lovers to pray for Tekno during this challenging period of his.